Tate has always called granola, “grin-ila”, which I just can’t bring myself to correct him, not yet anyway. Anyway, I dont know why, but I’ve been craving coconut and chocolate lately. Maybe seeing the Samoa Girl Scout cookie stuff around since my daughter is a Brownie, but wanted to make something for the kids anyway so thought I would try something new. I totally winged this so there might be a lot of random ingredients as I kept adding as I was going. This is what I ended up with, and Scott, my dad, and Tate loved it. Scott said it tasted like a “Whatchamacalit” candy bar. Do you remember those, or am I just dating myself? Okay, so my goal with the chocolate on top was to drizzle it across the bars, but since I added coconut into the melted chocolate, it didn’t quite “drizzle”, but my family didn’t complain. 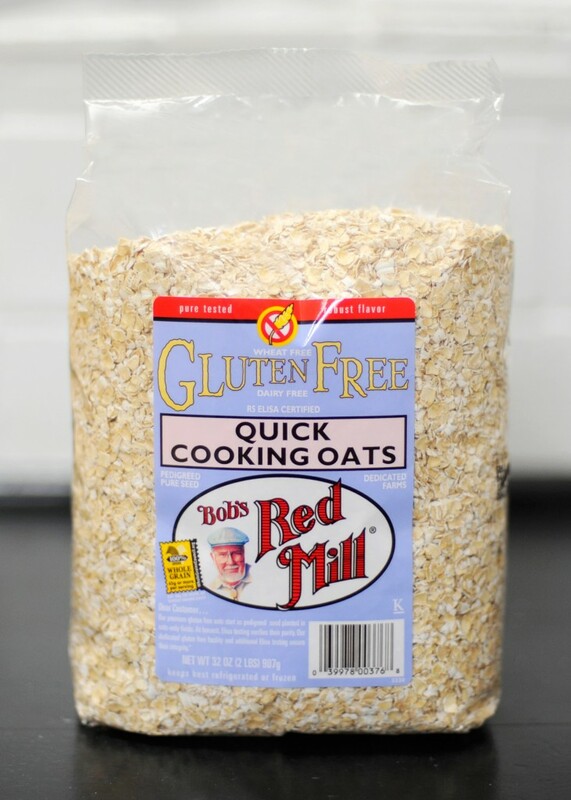 When I was at Whole Foods the other day I saw Bob’s Mill Quick Cooking Gluten Free Oats I thought, oh I can make something the kids like with that! I had never see the “Quick Cooking” kind and as much as my kids are liking Udi’s gluten free granola these days, I really wanted to make something they could have instead. Here’s what you need and you could easily double this but since I wasn’t sure what I was making or how it would turn out. So, I just wanted to make enough for the family to sample. Next time, I will double for sure. The seeds are optional as you could do any seeds or nuts that your family likes. Mix all ingredients together but the honey. Set aside. Warm honey and then stir it all together. Pour over parchment paper and spread flat on cookie sheet. Cook on 350 for 15-20 minutes. Watch as the thinner parts may cook faster. Allow to cool, carefully pull off of the paper, and try not to devour all at once! 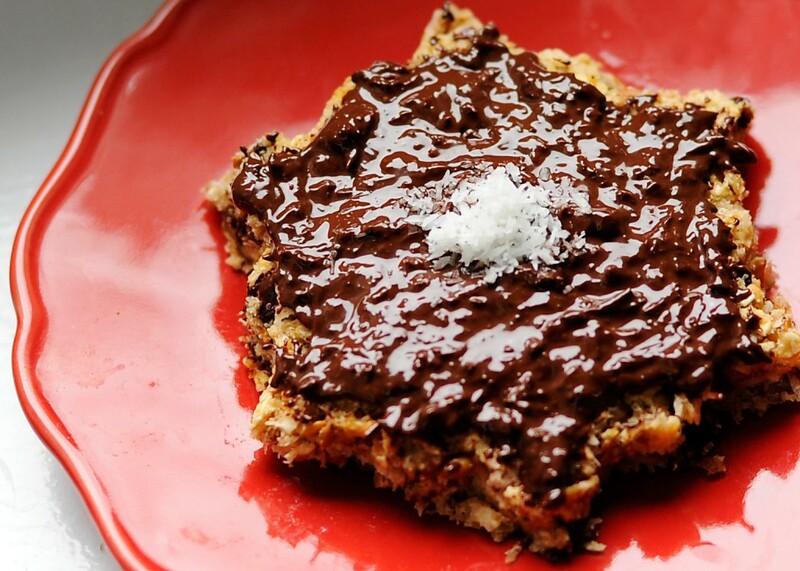 For the topping, I just melted some dark chocolate chips in a coffee cup, then added some shredded coconut, and spread it evenly over the cool bars. You could skip this part too. The bars were great without it, and since there are already chocolate chips in them, but that’s up to you!